This contemporary Marvin pivot door, available now for spring patio projects. It speaks for itself; see it in action below. User-friendly windows ideal for kitchen remodels: It can be challenging to reach the locks on (and even to open) double-hung windows over a kitchen sink. Marvin has integrated the lock and lift in this sleek window that’s a cinch to unlock and open in one fell swoop; as you close the window it locks automatically. Even simpler: super easy-to-open awning windows. 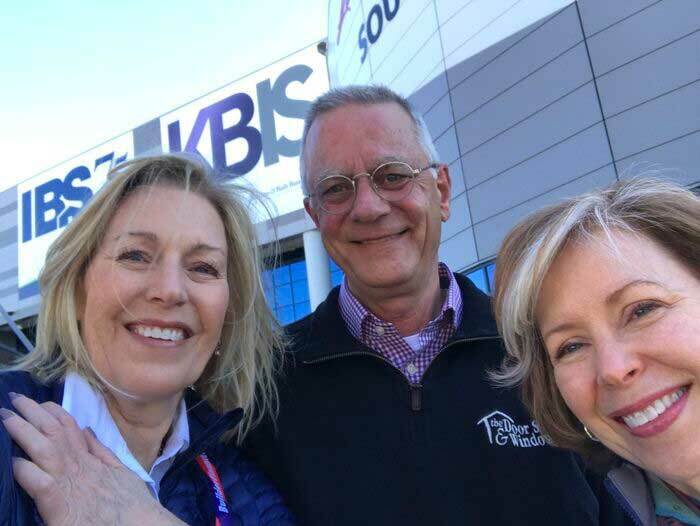 Interested in learning more about these or any other products we saw at IBS 2019? Your TDSW New Construction team is here to partner with you for your next building project. Give us a call today!